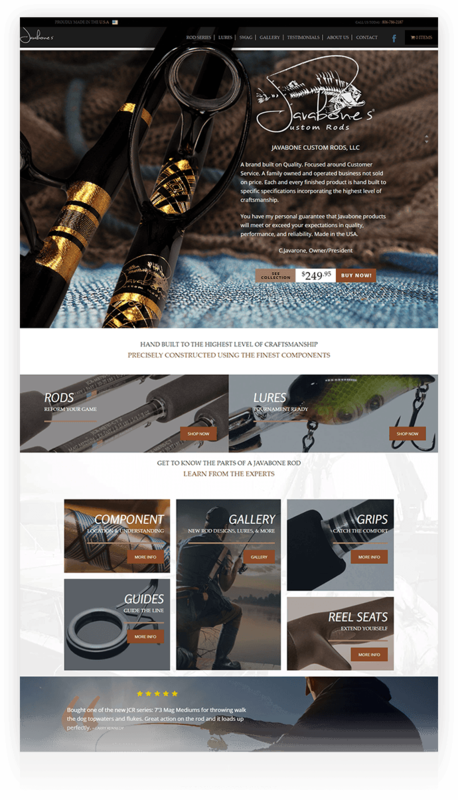 Javabone Custom Rods is a family owned and operated fishing rod business that needed an online presence. Because of the competitive industry, Cody knew he needed a great looking site that made it easy for customers to find the product they wanted. AnoLogix has designed many websites for the sports fishing industry and was ready to take on the challenge. We created a website that is mobile-friendly on a custom WordPress theme using the WooCommerce e-commerce engine. AnoLogix is one of the top web design and development, graphics design and digital marketing agencies in Jacksonville, Florida. We proudly serve clients in Jacksonville and Orange Park as well as clients nationwide.